Well hey, I can't start a blog post about science without the Thomas Dolby song. It just pops into my head every time I start thinking about science. One of the many benefits of being a child of the 80s. And we all know that Magus Pike is the real star in that song and video. Anyway, science is what Term 3 at our school is all about. Term 3 also marks our entry onto phase three of our journey into implementing the revised NZ Curriculum. What were the first two phases? Phase one. 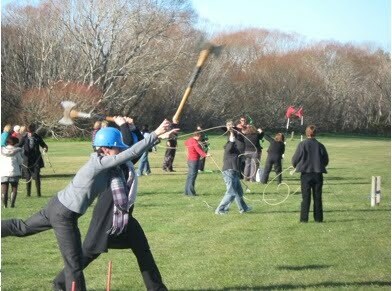 Back in late 2008 it was all about clarifying out values and beliefs about learning at Waimairi. After community consultation workshops the staff used our two-day retreat in January 2009 to build up our definitive set of values and beliefs about learning at our school. ... meant a strong literacy learning curriculum statement (Literacy @ Waimairi) could be put in place. This was done by matching our values and beliefs about learning to the knowledge of effective literacy teaching gained from the school's two-year long LPDP professional development programme. A similar document called Numeracy @ Waimairi, which matches our school's values and beliefs with the knowledge of effective maths teaching outlined in the National Numeracy Project, is in its final draft stage. 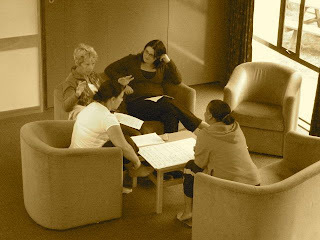 A parallel professional learning programme (all teaching staff taking part in a ten-day-long PD experience) was designed and implemented to make sure the staff who are designing and implementing the NZC are adult learners who have been exposed to a variety of approaches and models of school curriculum localisation. The two key aspects of the PD programme during 2009/2010 were: the five-day tour of innovative and best practice schools in the North Island and training for /implementation of 4 Minute Walkthroughs. Phase two looked at the Key Competencies of the NZ Curriculum. We can't expect teachers to have any moral authority to build key competencies unless we know and understand what they are, and how they shift depending on the context they are being used in. So in July 2009 it was off to throw some axes and shoot some bows and arrows. The point of this was to show that everyone who thinks they: participate and contribute, relate to others, think and manage themselves don't always do so in equal measure in very challenging situations - such as those which our children face every day in their schooling. This experience led to the 'key competency quadrant we are now under trial. With the key competency of thinking emerging as the overarching one in our localised curriculum who better to up-skill and inspire our staff than Tony Ryan. In January 2010 Tony set us on course to make sure thinking was explicitly embedded in the way we teacher and learn. Phase three What is the 'essence' of the other subject areas? And what is our localised curriculum approach to them? Well we are starting this term with Science. 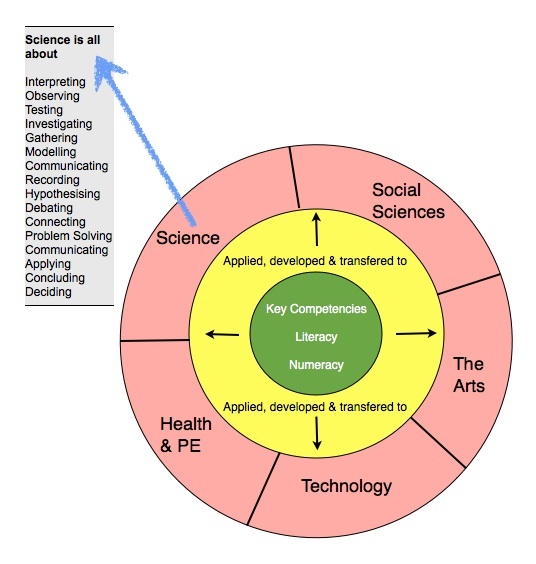 We have had to work out exactly what learning about science means at Waimairi School. Over the next few school terms that same treatment will be given to Social Sciences, Health & Physical Education, The Arts and Technology. Watch this space. ...just roll off the tongue. But the big question is what does a high quality and advanced level of each of these mean? This is the real curriculum challenge. To take just one of these words - 'Hypothesising' if we want our students to learn how to do this and to get better at it we need a framework to help them and their teachers build up their understanding. We want to build understanding of knowledge, not just more knowledge. In comes SOLO Taxonomy. Five stages which describe levels of increasing complexity in student's understanding of subjects. Here is an example of how this is being used this term. What this space to see how our trial of this phase three tool unfolds. For the the most important aspect is the inclusion of the children in a simple, yet, powerful, framework. This means the learner as well as the teacher can plot progress over the term, assess themselves against the taxonomy and really understand the formative feedback they might get from a teacher. So where are our localised curriculum documents? In the words of Lester Flockton "the bigger the document the less effectively used it is in classrooms"
I like to view Learning @ Waimairi as something which documents the good practices we are developing. If we see document as a verb not a noun we understand that the phase three work with SOLO has to run its course as a trial before really sound use of it can be documented in Learning @ Waimairi. with 576 articles in my google reader i started to slide towards my "mark all as read" button. I have chatted with you about this at some length and I have visited a few times and can I say now that "I get it". It's something about your whole "blue" big picture explaination. If I was a parent at Waimairi I would be over the moon with this implementation. What some parents dont realise is how far down the track you are, and how in fact you are actually building tracks, shaping direction, and all that with ZEST. Big ups to all of you guys, crusaders on a crusade. So nice to see your journey mapped out Mike. I like the fact that it is stepped out and focussed rather than more lights on the Christmas Tree. The process seems to be one that builds on previous layers and is likely to be more sustainable. Thanks so much for sharing so others can learn too. Wow...this blows me away. As a FTP this has given me great guidance and insight into how I can begin to build our localised curriculum. 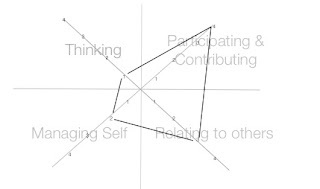 We are working through facets of this, such as Literacy Beliefs and Inquiry beliefs, with the view to being shared and unpacked further at our own retreat in 2011. We have also delved into the Key Competencies and Values. It's a start but it;s also reassuring to see that this has taken you a good few years. Fantastic work at Waimairi, kudos to you and your team. Where to start responding? This is huge - well done and fantastic that you have shared it here. The piece I will comment on is the emphasis on teachers as learners. I think that if that is the only thing that teachers across the country get from the NZC then we will really move forward as a nation. The Key Competencies and Vision of the curriculum should be implemented by teachers first and we would see very different classroom outcomes.